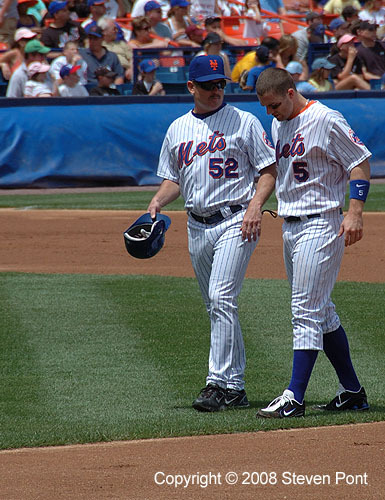 Here we have David Wright walking with coach Howard Johnson. 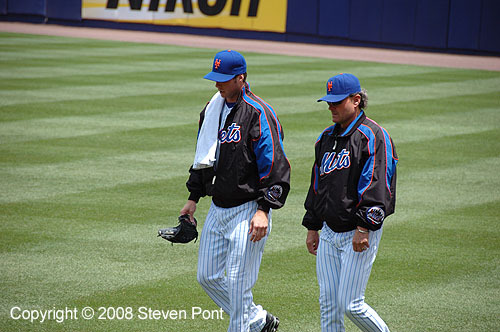 Howard Johnson was a big deal for the Mets back in the late 80's when they were serious contenders every year. Having turned 42 myself recently, it is somewhat gratifying to see that even great baseball players can get fat when they get older. Another positive for me is to see that even great baseball players, while they are still young, rich, good looking, and single, can get a haircut that will make them say, "I can't believe I fell asleep in the barber's chair again."